Some news about the next Pirates of the Caribbean movie reminds me of why I've been disappointed about this series for a long time. On one side, I get excited in the back of my mind when they announce another entry into the franchise. Then I see the movie, get crushed by disappointment because it wasn't any good, feel disgusted that they tricked me into shelling out cash to see it in the theaters, and vow to never let this happen again. Well, here we are with the announcement of Orlando Bloom perhaps joining up with the other primitive screwheads involved in making more films, in particular Pirates of the Caribbean: Dead Dead Men Tell No Tales, coming out in 2017. Bloom has confirmed he is in discussions to reprise his role from the first three films. He says he is open to the idea, has been in some talks about it, and that he would love to work with Johnny Depp once more. 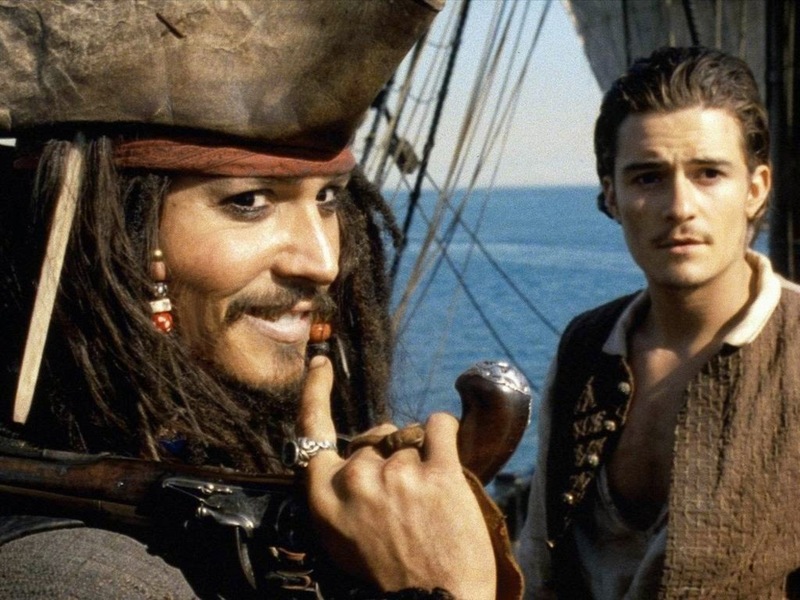 Johnny Depp is confirmed to play Captain Jack Sparrow in the film, and that's fine. So is Geoffrey Rush joining up with the crew. What's not okay is the slipshod writing, and bloated mess of a movie the third one was. I was fine with the second, it's bloated too and unfocused, but there's just enough of the goodness from the first one present to be passable. Watching the third one, At World's End, was one of the worst theater experiences of my life. Ugh. Painful, pointless, and awful. Is there hope left for the Pirates franchise? Can they ever regain their mojo or are they lost at sea? Can I think of some more ocean related cliches? Sound off below.